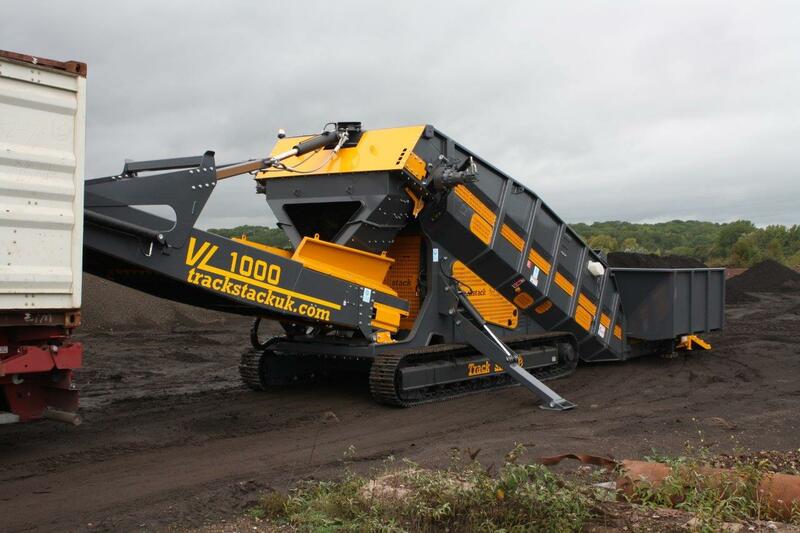 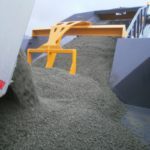 The Trackstack VL1000 is a unique low level receiving hopper. 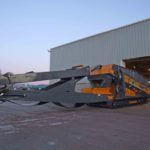 It features a radial boom conveyor fitted onto a single track mounted chassis for ease of movement and rapid setup time. 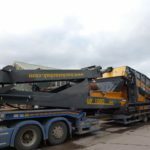 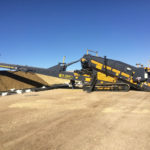 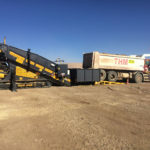 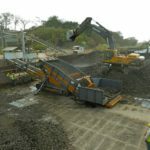 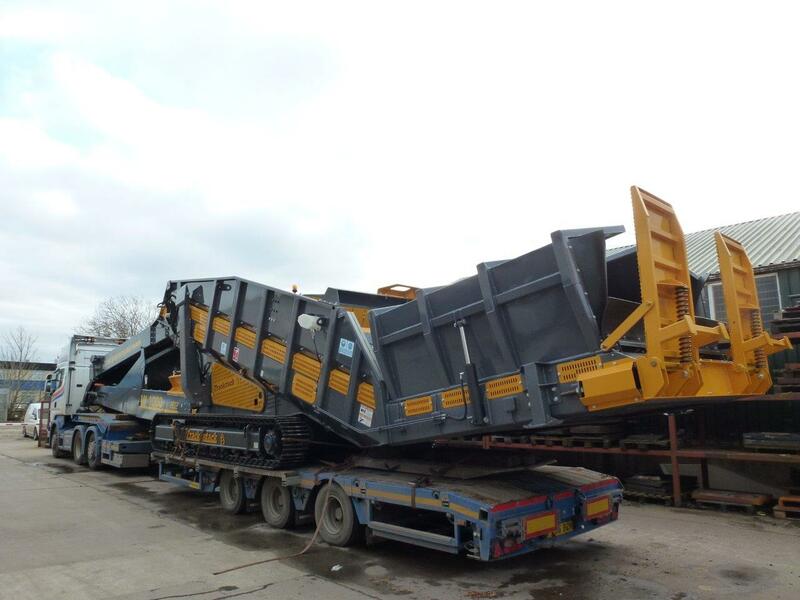 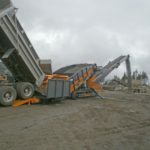 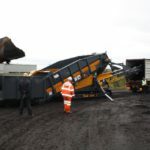 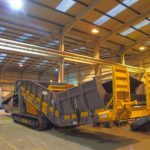 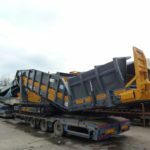 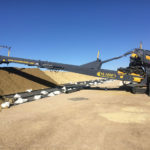 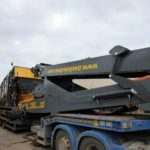 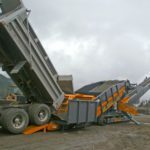 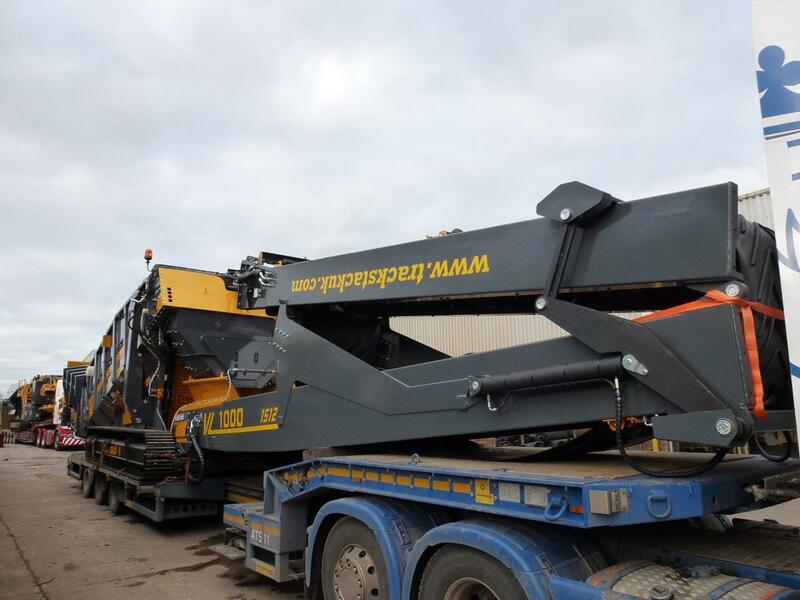 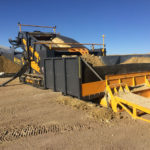 It features a 130Hp (100Kw) Caterpillar 6 cyclinder engine, 4.5 metre (14’ 9”) wide Horizontal Receiving Hopper which feeds onto a 1.2 metre (48”) wide, 15 metre (50’) long Radial Discharge with a 120° radial slew. 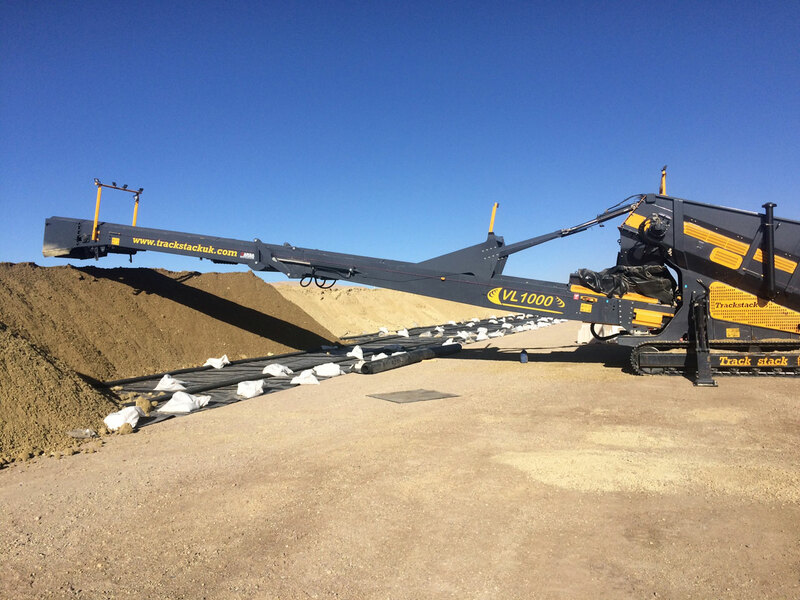 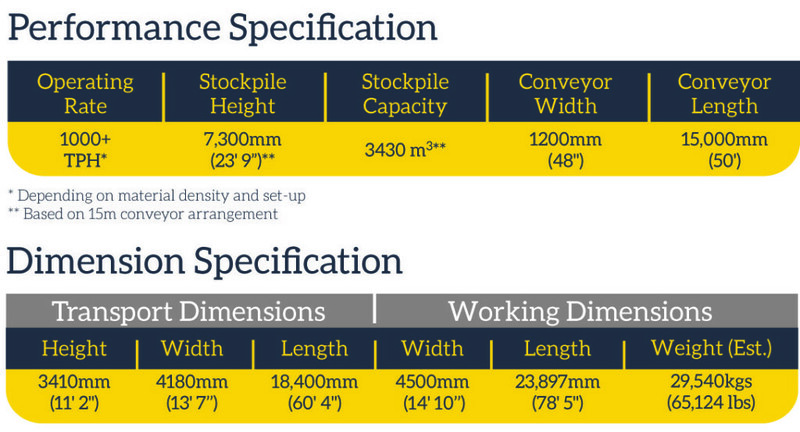 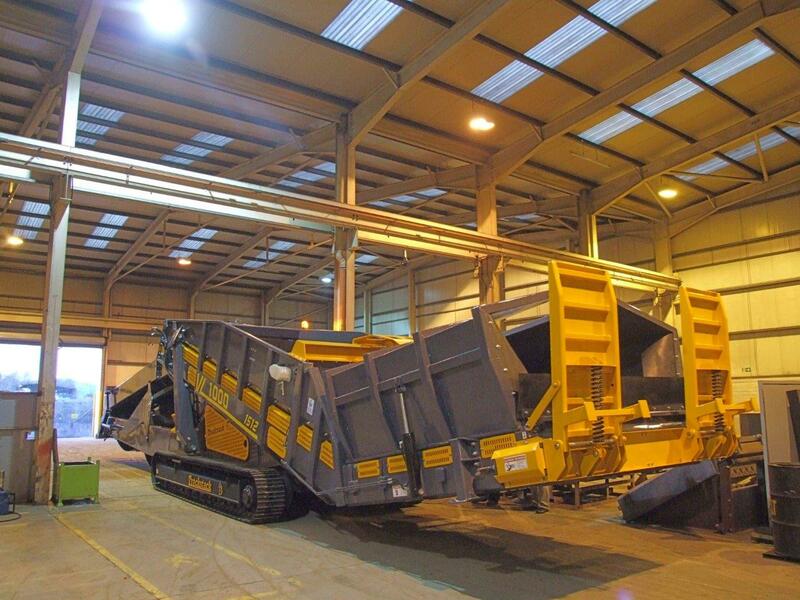 There is also the option to have either a 9.5 metre (31’) or a 13.5 metre (44’) discharge conveyor. 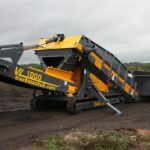 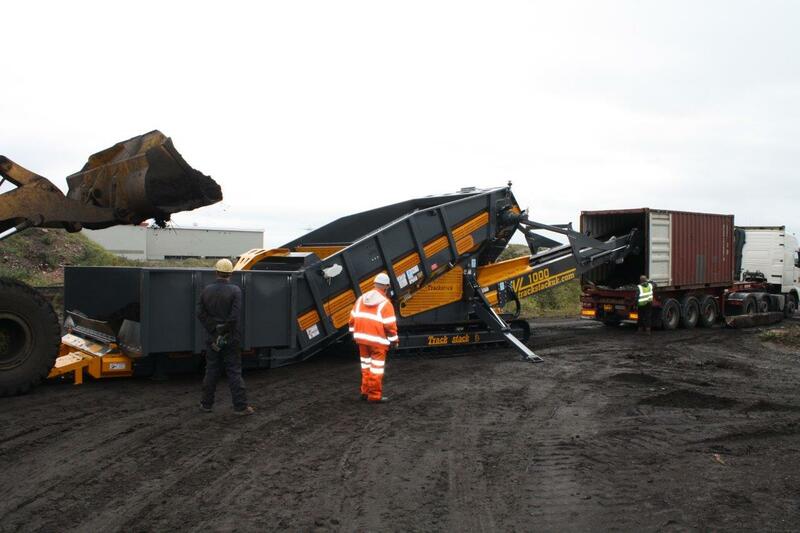 The VL1000 can be fed by Wheeled Loader, Excavator or Tipping Truck and can be used to load barges, trains and for stockpiling. 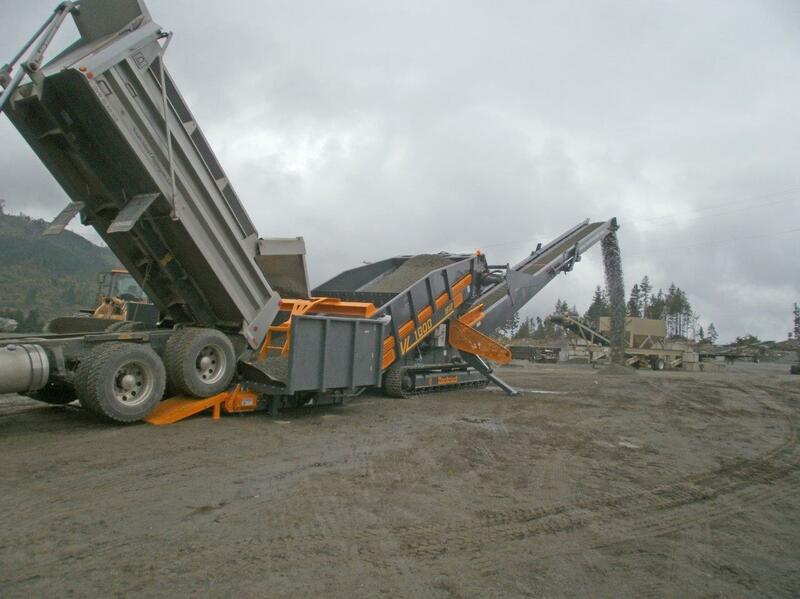 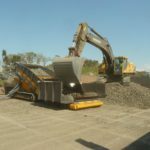 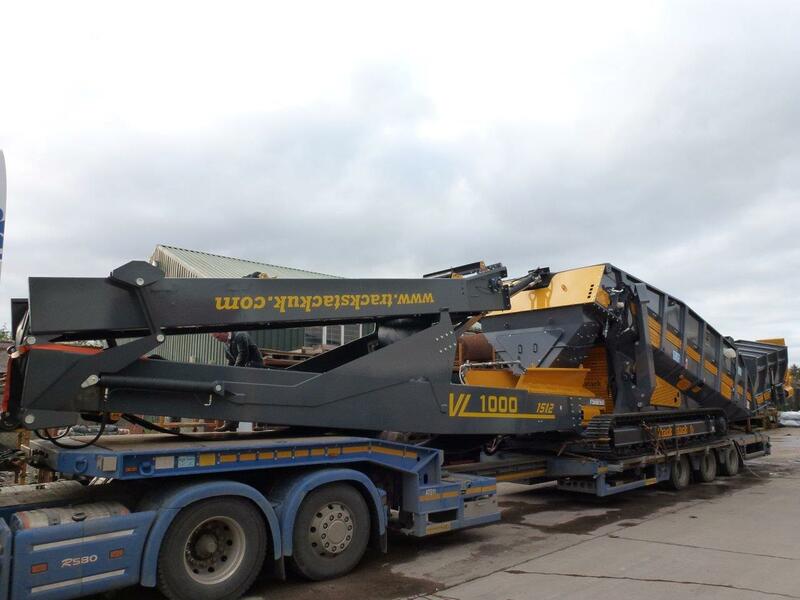 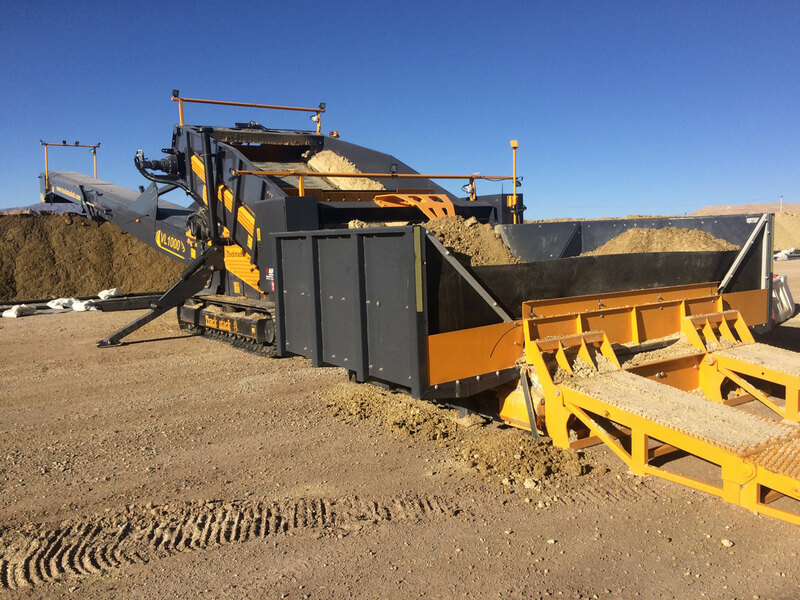 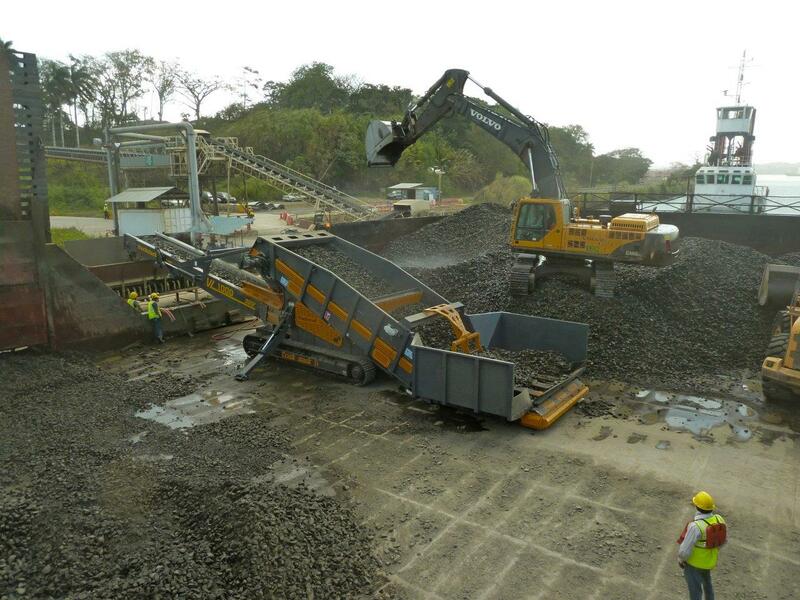 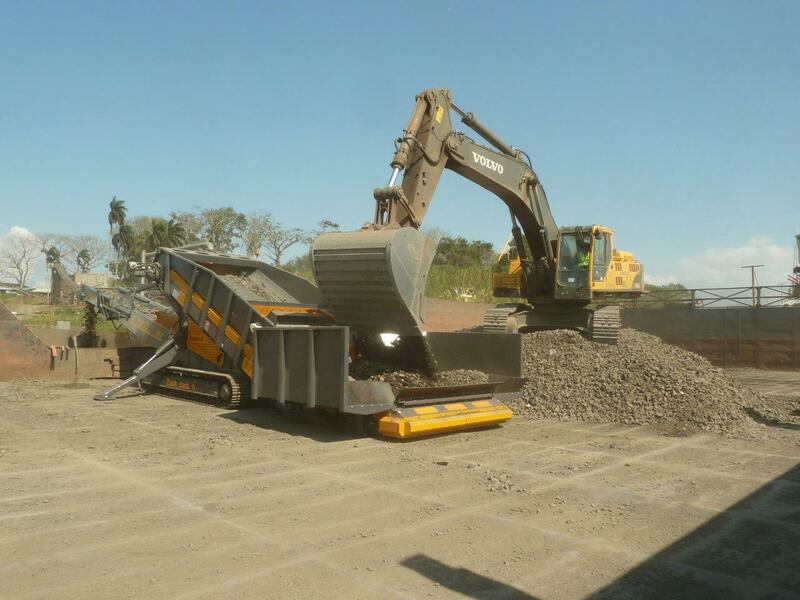 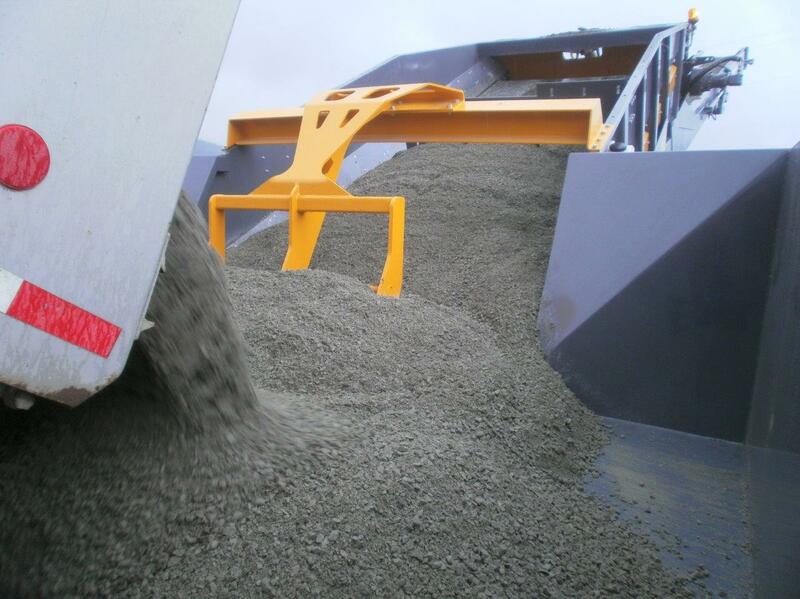 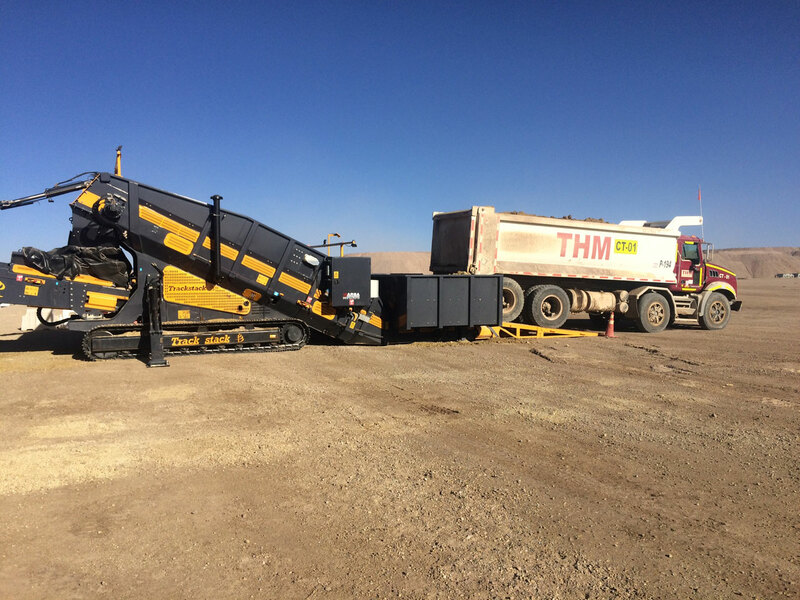 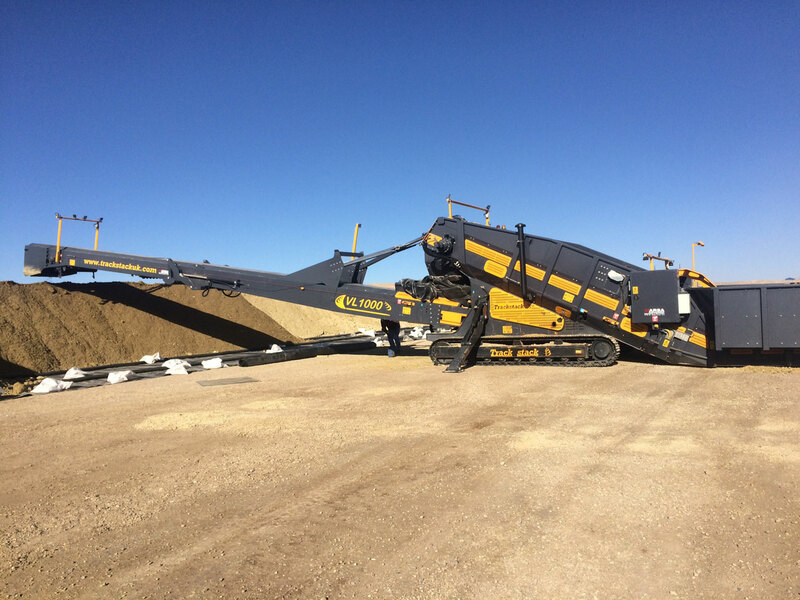 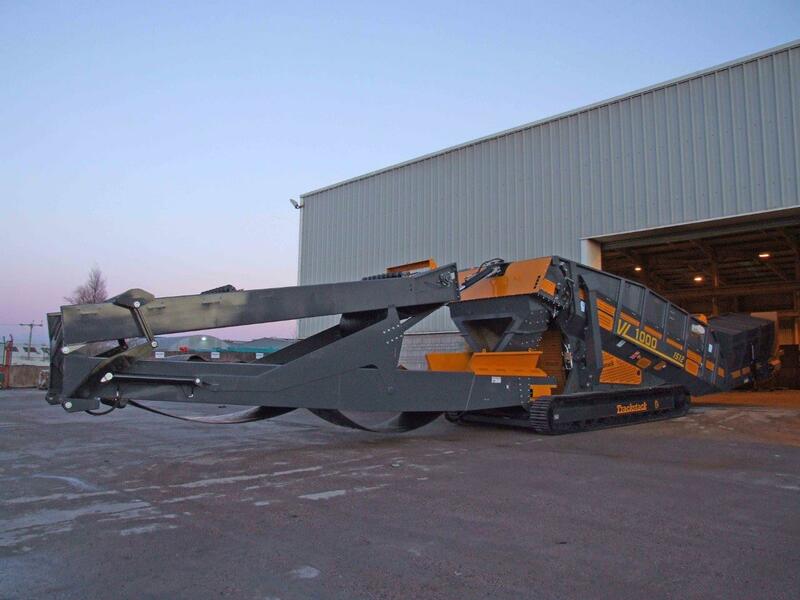 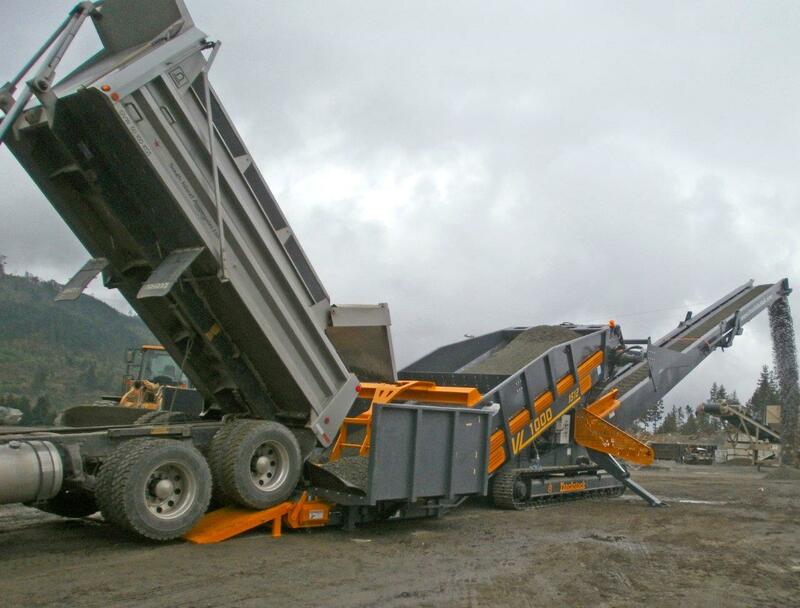 This machine also integrates easily into the Tesab range of Crushers and Screeners.